• LANDLORD AND TENANT WORKSHOP 101 - A Guide To Be A Landlord/Tenant Workshop 1.0 (DIYLT 1.0) Register here! • RESIDENTIAL PROPERTY WORKSHOP 101 - A Guide To Sell/Buy Residential Property Workshop (DIYRP 1.0) Register here! • Collective Sale Workshop 1.0 (CSW 1.0) Register here! • COMMERCIAL PROPERTY WORKSHOP 101 - A Guide To Sell/Buy Commercial Property Workshop 1.0 (DIYCP 1.0) Register here! • Mastering Forex Analytical Skills Register here! 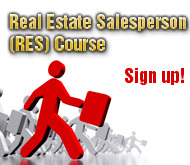 • Real Estate Salesperson (RES) Course Intake Enroll now! • How To Invest (& Make Profits) Like A Developer! click here! 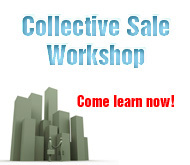 • Collective Sale Workshop II Click here! • Sakura Auto Trading Program (SATP) Preview on 04-05 June 7pm. RSVP 67361318. Click here! • RES 2-Days Revision Workshop 1 & 2 July intake(night) for Feb 2015 Exam. Call us 67361318. • (CPD) Collective Sale: How To Identify Enbloc Sites and Manage The Enbloc Process Under The Land Titles (Strata) Act(C2/Level2) Click here! • (CPD) Landlord & Tenant Law: How To Tailor Leases (C2/Level2) 1 Sep Click here! 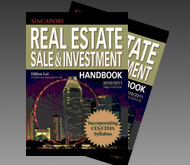 • (CPD) Practice Guidelines For Marketing Foreign Properties (C3/Level1) 6 Sep Click here! • REIH memo pad - handy, draw attention and request action. Real Estate Investment Hub a true platform of guidance for sharing and networking among real estate practitioners and real estate investors,guided by legal experts and other qualified professionals. Be a legally wise real estate practitioners or open up your property investment opportunities. » Real Estate Practitioners for more info click on RealShield platform. » Real Estate Investors for more info click on RealConsortium platform. LegalChat Pre-Launch for Real Estate Salespersons! Yes! I am interested to sign up for REIH Budget Class Membership. I understand I will be entitled for LegalChat for 6 months fom 1 Nov 2013 to 30 April 2014 where I can ask law- related questions about my real estate transactions through mobile app messenging. I understand that the 1st 100 sign-ups will get a free 2-hour training session on "Law of Marketing Properties in Philippines/Japan/Malaysia". Please contact me after I have registered below. Yes, I want to receive sms and email updates from Real Estate Investment Hub.